This activity provides children with the opportunity to paint and create without all of the mess. 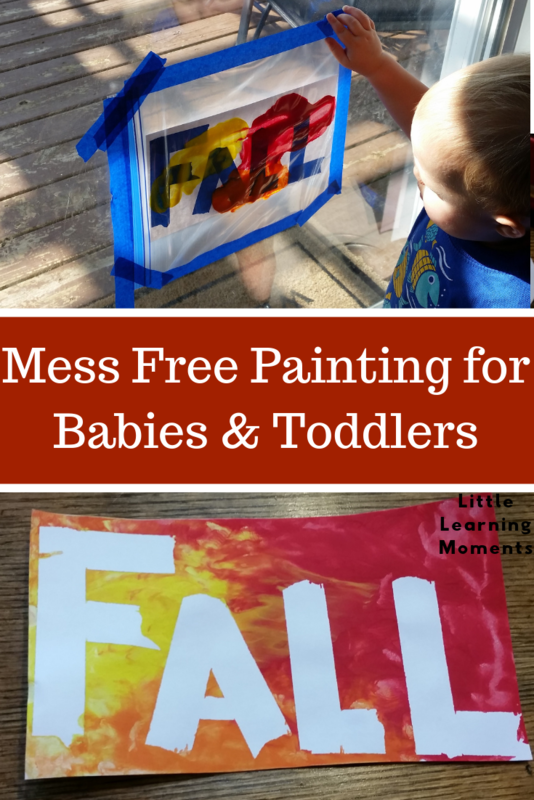 This activity is perfect for babies and toddlers that are in the phase of “put everything into the mouth.” It’s also a great activity to first introduce the concept of painting. Little learners get the chance to explore using their sense of sight and touch. This activity can be done on a table or on a wall for even more practice with motor skills. Start by using the painter’s tape to create your word or image on the cardstock. For this particular piece of artwork, I made the word FALL using the painter’s tape. I’ve found that this step is easiest to do while your little one is napping. If I try to do it while he’s awake, then I end up with a helper taking all of the tape off. Next, double check that your cardstock will fit inside the ziplock bag. You may need to trim the edges or cut it down to size. Once you’ve made sure that it fits, then add some paint to your cardstock. You want globs of paint for this activity to work best. You can do lots of smaller globs or a few big globs. That’s up to you. Show your little one how to move the paint around on the paper. Depending on their age and interest, you may need to demonstrate this part a few different times. Baby Fox and I had a lot of fun squishing the paint all around together. As you play, talk about the colors and how they’re mixing. 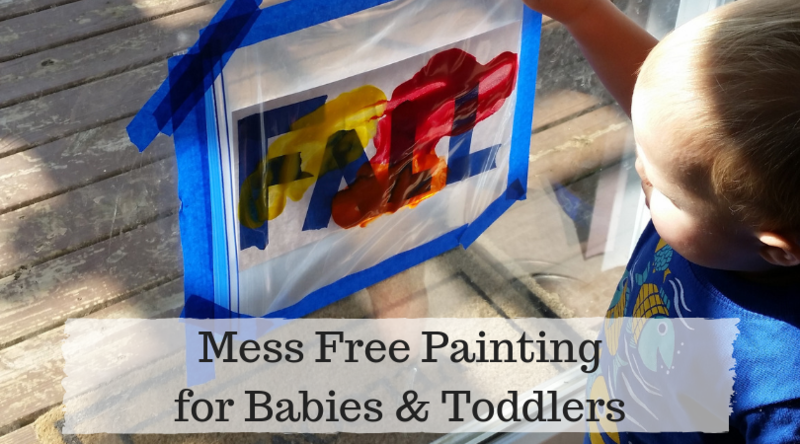 Once the paint is spread all over and your little one has lost interest, remove the cardstock from the bag and let it dry. After it has dried, slowly peel the tape off and hang your masterpiece up for all to see!